For many years, businesses have employed state-of-the-art computer systems to grow and succeed, but these same systems often create significant problems. Gary Koehler develops mathematical models of business systems by asking questions about whether the system is making the right decisions in the time frame needed. “We manipulate the models to find optimal decisions,” Koehler says. For example, group decision support systems let groups work together electronically to find solutions to complicated problems, like determining the manufacturing mix to meet uncertain demands. Koehler developed a mathematical model that shows the evolution of these processes – letting a firm run and design them better. 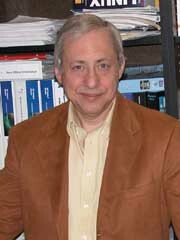 Koehler’s current research is focused on data-mining. Organizations from Amazon to the Internal Revenue Service have the ability to acquire vast quantities of data about people based on their Internet behavior and other electronic transactions. These data can be used to detect fraud, select proper candidates for schools and track credit card activity. “The problem, however, comes in locating the nuggets of useful information in all that data,” Koehler says. For instance, if the United States government wanted to detect terrorist activities, they could gather a huge amount of data on seemingly innocent activities, but would then have to boil these down to clear indicators.